Been a while since i've been on 914world, but howdy. Make sure it's unable to get back into the bay or you are not doing an EGR accidentally. Are you talking about the wastegates? I didn't reroute their path off the exhaust manifold, only the dump routing back into the exhaust stream so that I could mount the muffler in the engine bay. The twin-scroll with dual wastegates flows extremely well. Correct Britain. BTW Jp's old car has gotten nastier without that air cooled flat six Also, I need to go back and look at your masterpiece work on the suspension. My word that is something!!!!! You will get a serious power bump by letting your wastegates dump to the atmosphere. You create a bad flow disturbance when you join the streams. We are talking 30-40whp difference on a turbo that's pushing somehwere around 45-50lb's per minute. 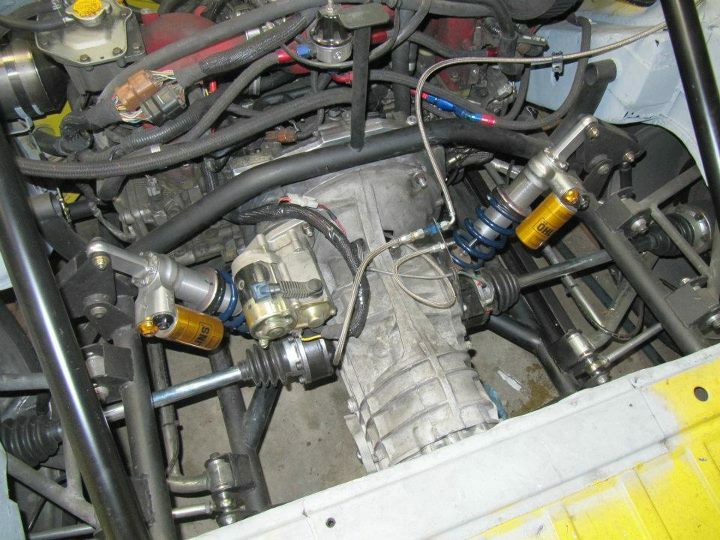 If you have two wastegates, that's even worse putting them into a single pipe. Us 20v VW/Audi guys have dyno'd it, and SRT-4 neon folks have as well. Think ghostbusters, don't cross the streams! Yea, problem is that I need to be able to regulate the noise to meet sounds restrictions. Heck, I am making over 330whp at only 14psi...that motor wants 19psi but the transmission said hell no. Bummer I forgot about that, are they cracking down on DB limits at events by you? Open gates = 747 taking off for sure. PS 330whp with a nice flat four has to be nasty. Are you going to move to a subaru box, or maybe an Audi FWD box? Or are you stuck with the 901? Are you going to move to a subaru box, or maybe an Audi FWD box? Or are you stuck with the 901? I've been combing through threads on 914World.com for threads on transaxle swaps, will start searching Pelican next. But if you've got other good sources of info on using the Audi 012, 01E, or other FWD transaxles in a 'teener I'd appreciate some links... I gather it'll require a cable shifter and converstion to an hydraulic clutch, and at least new inboard CV joints. Pricey, but it'd be nice to get six forward gears (obviously I'm not an autocrosser! ). Britain, from a quick skim I'm guessing you've got a 915 setup with an hydraulic clutch? Thanks for the minor thread hijack Britain. Small updates to the car as we continue to get it sorted out. First up, transmission refresh. 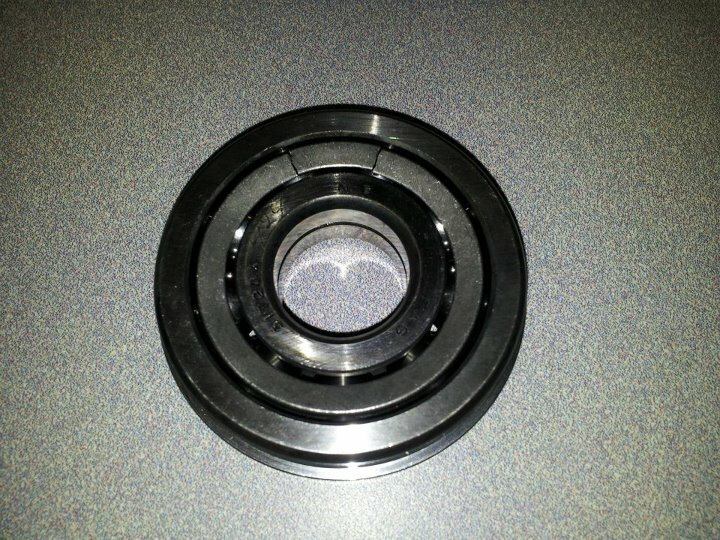 When we were in there replacing the busted slider hub a while back, I had noticed a small crack forming in the cage of the large roller bearing in the intermediate plate. We didn't have a spare on hand at the time so I had to go back and replace this part. I am glad I did as the crack had grown and who knows how much longer it would have stayed together. Next on the list of "upgrades" was to get rid of the 40+ year old Porsche steering column. Combination of flex in the column mounts as well as a worn out inner bearing was causing noticeable movement of the steering wheel under load. 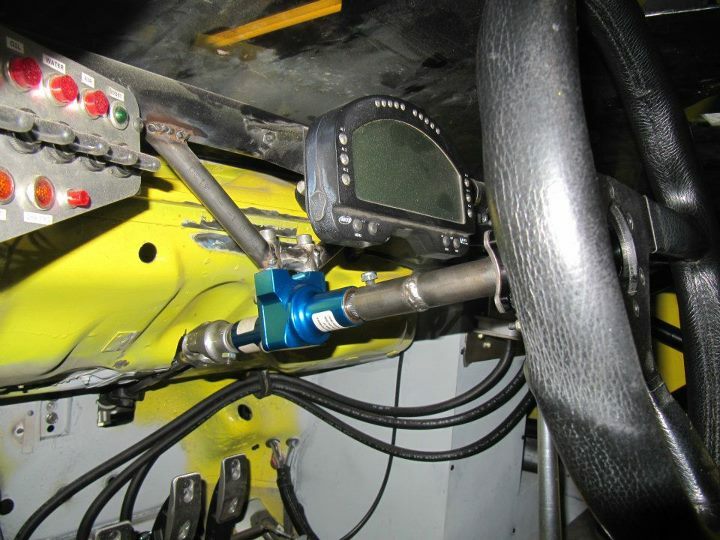 My plan was to install a steering quickener to serve as the new steering column. My first attempt at this employed a 2-bolt steering quickener with an extension shaft machined and a plate with the Mom hub pattern waterjet cut. 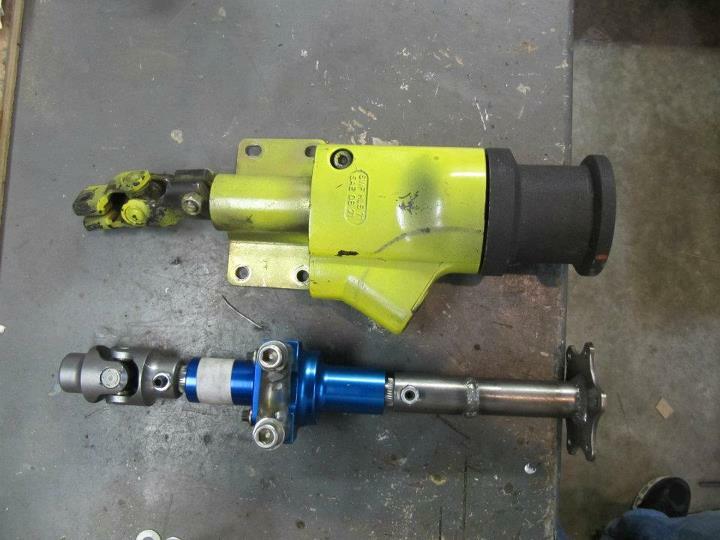 Here is a comparison of the Porsche steering column next to the Steering Quickener piece. Here is the set-up installed. While it did greatly increase the steering response, basically 1 turn either way to hit lock, it didn't improve the lateral movement of the steering wheel. After a bit of research, I found that Coleman actually makes a 3-bolt version that is actually intended to be a steering column type piece. Here it is installed with additional bracing. Much better feel and a whole lot less lateral movement. 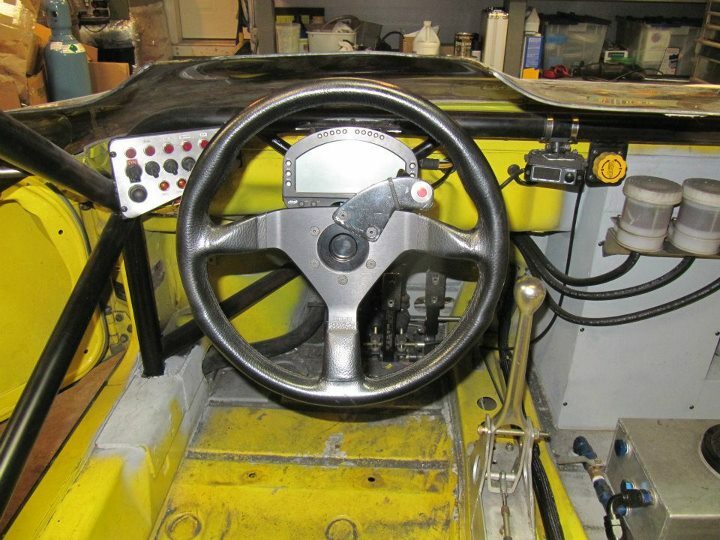 We also extended the wheel out closer to the driver by about 1" to improve the drivers leverage on the wheel. Here is the ****pit back together. 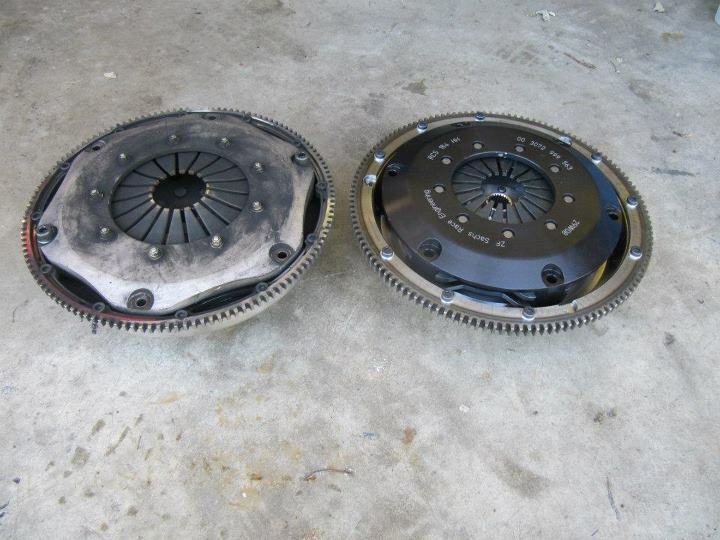 The other major update was a new clutch/flywheel package. I was previously running a Tilton single disc set-up and was right up against the load rating for the set-up and therefore wearing out clamping plates and friction discs very quickly. 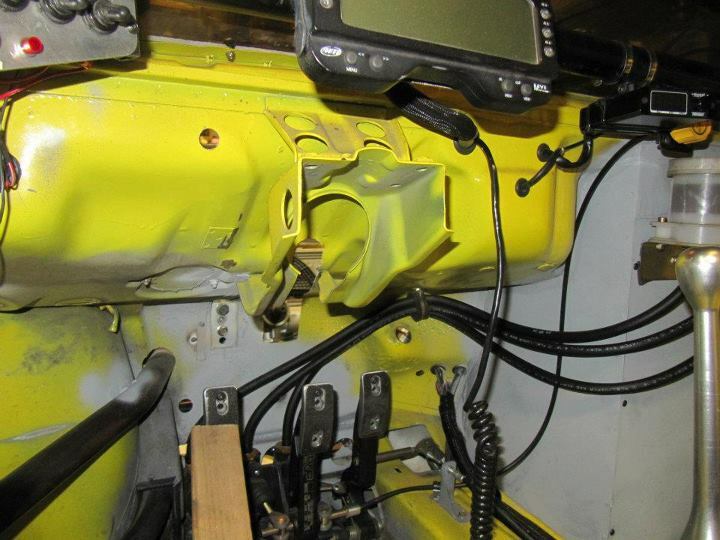 In addition, the Tilton parts were getting harded and harded to find as they stopped making a lot of components. 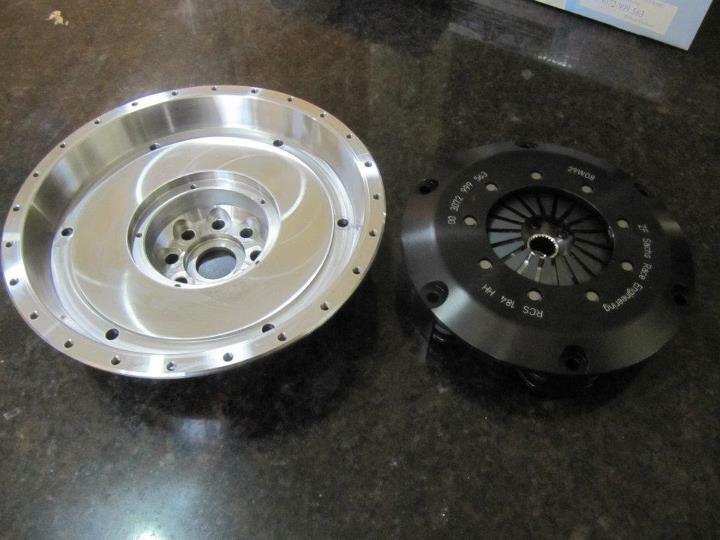 Here is the new flywheel and clutch package, the flywheel is a piece of art...and cost about the same. 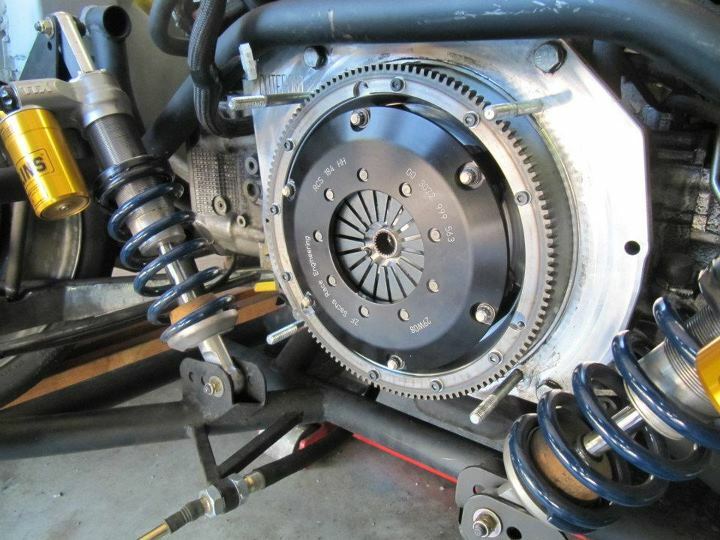 The flywheel is unique in that it has a center plate that is installed over the flywheel bolts to capture the nose of the transmission mainshaft. Everything back together, clutch bled, ready to do burnouts. 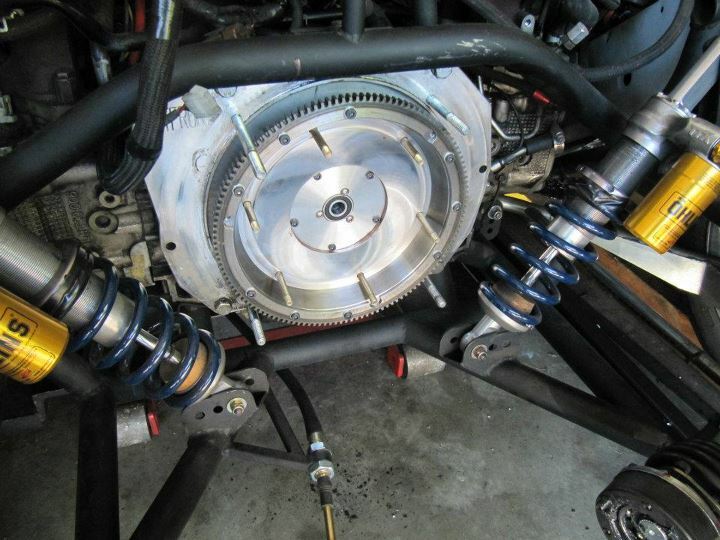 We ran the car this past weekend and the new clutch has a great feel and works great! I know it has been a while since I have updated this thread...but it has been a long, great summer of racing. The car is running great and the new suspension is phenomenal. Couple of updates. First off, bump steer! After everything was built and the car was up on the alignment rack I determined that I had made a small mistake in my calculations and induced a bit of bump steer that I was unable to account for in the adjustment range that I incorporated. 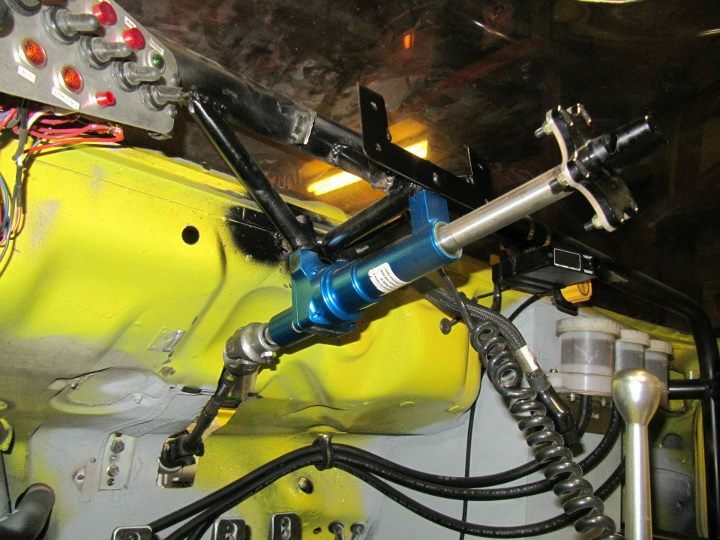 This was partly due to the changes in the suspension geometry as compared to a stock Lotus. Anyway, the remedy was to convert the stock Lotus tie-rod ends to heim-joints. I located a kit from a company in the UK and decided to use that as a starting point. After a little bit of modifications to the supplied kit, we got to the end result which is zero bump! Here is a picture of it installed. Secondly, I installed a simple launch control set-up on the car to allow faster Pro-Solo type launches and to put less slip on the new clutch set-up. Here is a cool video of the system in action...plus 100ft burn-out are cool no matter who you are. Finally, here is a cool video that I put together at a recent event where they allowed me to run without the front and rear hoods to get a good shot of the suspension in action. Let me tell you, the car was nearly impossible to drive without the rear hood on and the lack of a rear spoiler.